Whether this is a disruption or a new industrial revolution, VoIP is here to stay. Global VoIP service is expected to reach $140 billion by 2021. That is up from $83 billion in 2015, according to Zion Research. Let’s take a look at the 2019 VoIP trends that are going to help lead us toward that change. Telecom giants like AT&T and British Telecom are looking to phase out traditional landlines in favor of VoIP service. Businesses will need to adapt. Virtual numbers were expected to reach 171 million worldwide by the end of 2018. That number is expected to keep growing as available landline options decrease. While it may be 2023 before the average person gets access to 5G, network updates are rolling out to progress us towards that end. Advanced networks like 4.5G and 5G will offer small businesses more choices, says Ooma VP of Corporate Development Chris Burgy. In a PC Mag article, Burgy explains that these newer networks offer similar service to wired networks, with speeds over 100 Mbps. “We’ll see a big shift around internet connectivity from the wireless carriers deploying 4.5G or 5G connectivity, where suddenly this can become a primary internet connectivity for a business,” he says. By 2021, Artificial Intelligence (AI) will handle 15% of customer service interactions, according to a recent report from Gartner and Avaya. That is a 400% change from 2017. Over the next year, we will continue to see AI implemented by UC providers with varied applications. AI can analyze VoIP conversations as they are happening, as well as use previous and current customer data to get a more holistic view of the situation. This technology even enhances the way that calls are routed, according to both service agent and customer behaviors. Avaya’s partner Afiniti is using this behavioral matching to improve contact center performance. T-Mobile credits Afiniti’s behavior matching software for $70 million in extra annual sales. While this type of behavioral or sentiment analysis is incredible, it is not unique. Vonage is another provider using real-time sentiment analysis to help monitor customer interactions as they are happening. Another company, Utopia.AI, offers Sesame. This product is able to analyze the emotional state of callers through vocabulary, sentiment, and emotion. As an incredible bonus, Sesame is able to use voice biometric data to help verify phone calls and decrease identity theft. 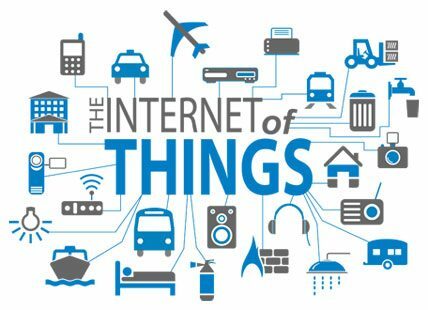 Statista shows that the number of IoT (Internet of Things) devices will grow from 23.14 billion in 2018 to 30.73 billion in 2020, and 75.44 billion in 2025. This growing connectivity trend makes VoIP service even more accessible. These devices increase productivity and offer seamless collaboration for mobile workforces. These four trends will help VoIP companies facilitate better customer outcomes, easier team collaboration, and increased productivity. Anne-Marie Hays is interested in the telecom communications industry. She is passionate about helping SMBs save money. She writes for BestCompany.com.